"Here, in the dark pools of shadow lurking just beyond the gaslight, evil hid, and grew, and made its nefarious plans. 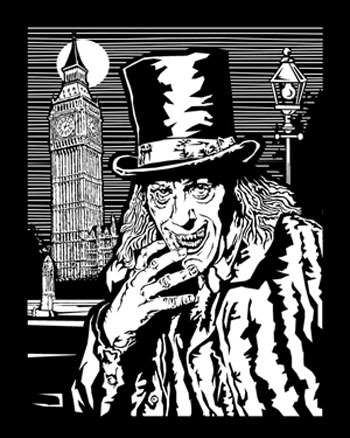 In this London stalked, in both fact and fiction, such creatures as Jack the Ripper, Count Dracula, Sweeney Todd, and Mr Hyde, and where magical societies such as the Golden Dawn praticed hermetic rituals. Who can know for certain what other, more horrible entities shared the recesses of the great city with them?"